Climate protection – with coal, oil and gas? The challenge deals with the role of coal, oil and gas in the era of climate change. 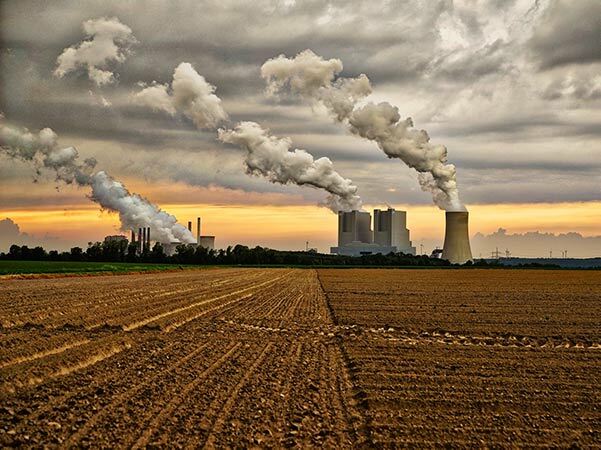 The combustion of fossil resources – carbohydrates – is responsible for a significant share of climate-warming greenhouse gas emissions because it emits carbon dioxide (CO2) into the atmosphere. Our modern economies use fossil resources in a multitude of sectors and processes, in particular in the energy sector and in transportation. b) a change in the way that we use fossil energy carriers, making their use more climate-friendly. In the extreme case, this would be a complete avoidance of greenhouse gas emissions by using processes such as Carbon Capture and Storage (CCS). It is also conceivable to increase the efficiency of the combustion processes and to switch fuels from coal to natural gas. It also needs political resp. Economic incentives to achieve such a change in the fossil fuel consuming behaviour. – Which fossil resources exist? What is the climate impact of each of them (carbon content resp. CO2 emissions)? – How much is the so-called carbon budget of the atmosphere? So, for a warming target of 2°C, how much CO2 can still be emitted? How much for the 1,5°C target (Paris Agreement)? So, how much fossil resources can still be combusted to reach these targets? You will note that these climate targets will not be met when only implementing the current climate pledges of each country (the so-called NDCs)! – In which countries are the reserves of the fossil resources located? Are these reserves produced (mined/lifted) by state-owned or private multi-national firms? In other words: Who will lose future revenues when climate protection does not allow the sales and use of fossil resources anymore? – In which areas do we use fossil resources? Can these applications be replaced by climate-friendly processes? Who decides about these applications and how much would a conversion to climate-friendly processes cost? – Which political and economic instruments (incentives) could convince resource owners to keep their reserves in the ground? Which instruments could make users of fossil resources change their behaviour? moreover, of course at my institute DIW Berlin! Moreover, many associations, think tanks and NGOs publish kinda good reports and databases. You may start with checking out the website of Carbon Tracker. Keep in mind that you will find references to many more relevant sources in the publications! Since 2004, Franziska Holz has been doing research at DIW Berlin. Since the beginning, she has worked on the global markets for fossil resources (gas, oil, coal) and their related challenges. One of her foci is the development and use of computer-based mathematical models to analyse these markets.